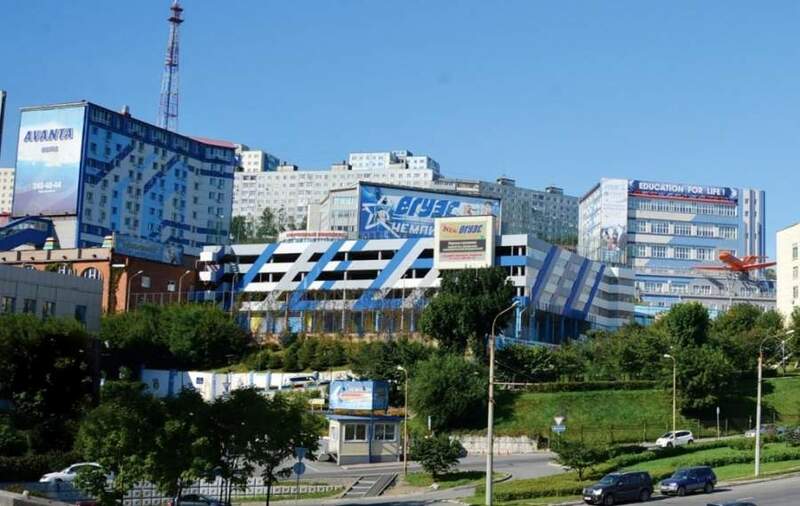 Vladivostok State University of Economics and Service started its history in 1967, when USSR government decided to establish a university to prepare staff in service industry. Initial name of the university was Far Eastern Institute of Consumer Services. It included only 2 schools, 11 laboratories and 6 lecture halls. The first rector of the university was Anatoly Savchenko, who held the position from 1967 to 1973. Under his guidance the university raised the number of departments up to 14 and the faculty staff up to 132 including 15 lecturers with Ph.D. degree. In 1972 the first graduation ceremony was held. From 1988 to 2015 Gennady Lazarev was the rector of the university. During this period Far Eastern Institute of Consumer Services became Vladivostok State University of Economics and Service. A lot of work was done and VSUES became a strong university with its own infrastructure and branches in neighbour cities. Soon after Gennady Lazarev became the rector, in 1991 VSUES established the first international relations and International department started its work. The largest Japanese automobile corporation "Honda Motor, Ltd." became a partner of VSUES in 1992. Vladivostok State University of Economics and Service received its current name after receiving the status of university in 1996. In 1998 a new building was built and the School of Infomation technologies was opened. In the nearest city of Artem a VSUES branch started to enroll students. By 2000 the university established the Department of Russian Lnguage for foreign citizens. 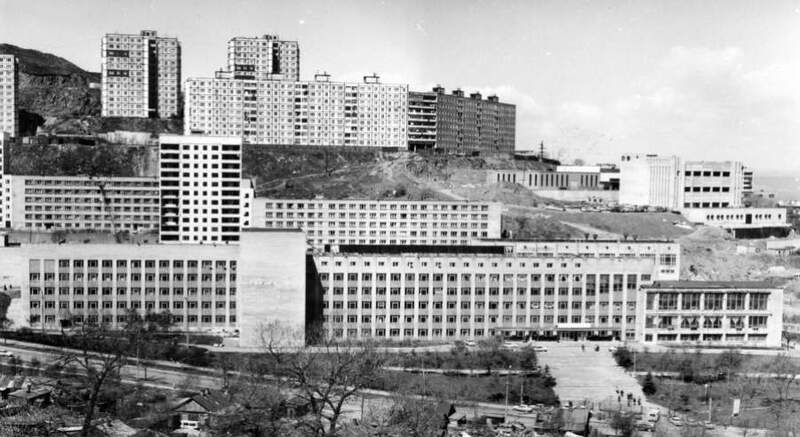 That year the infrastructure of VSUES was expanded with a new VSUES history museum, a new library computer hall, "Lotos" medical center was opened on campus, and the Eastern School started to work. In 2003 VSUES an theater stage "Underground" was opened in VSUES which is popular among the citizens of Vladivostok. The College of Service and Design was opened in 2006. The college provides intermediate vocational education offering educational programs in design, hotel management, computer sciences and ect. 2007 was the year of the 40th anniversary of VSUES. Dissertation Defence Board established in the university. The "Champion" sport club was opened on campus. The "Classical European Gymnasuim" was opened as a part of VSUES education, which includes kinder garden and primary school. For the years of 2008 and 2009 VSUES opened the video conferencing meeting classrom, finished the buildinf of the first in Russian Far East business incubator. In 2008 the School of International Business and Economics was among 1000 of the best business schools in the world. In 2010 the first group of international students majoring in Linguistics gradiated from VSUES. The university won the competition of "Sochi 2014" organizing commitee and got the right to be the center to prepare volunteers for Winter Olympic Games 2014. VSUES opened 6 new photo laboratories for Professional Lyceum of VSUES. In 2012 VSUES was ranked 63 in the raiting if the effective universities of Russia. The "Theater of Fashion" and Design department celebrated the 20th anniversary. The first beauty contest "Beauty Without Limits" between physically impaired women took place in VSUES. The university held first Congress of the chambers of commerce and industry of APR counties. In 2013 VSUES took up the torch of Olympic Games and the center of voluteers of VSUES was considered one of the best in Russia. The Higher School of Television enrolled the first students. VSUES joined The Association of Sino-Russian Economic Universities. In 2015 Tatiana Terentieva was appointed on the position of rector of VSUES and Gennady Lazarev became a president of VSUES. Tatiana Terentieva is the first woman rector in Primorsky Krai. Nowadays VSUES trains students in the field of economic sciences, liberal arts and technical sciences. The university is quite young having celebrated its 50th anniversary in September 2017. There are more than 50 000 bachelors, masters, and post-graduate students among its alumni, who have found work place not only within Russia, but also abroad.